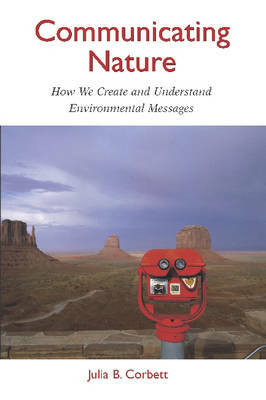 Communicating Nature explores and explains the multiple levels of everyday communication that come together to form our perceptions of the natural world. How do individuals develop beliefs and ideologies about the environment? How do we express those beliefs through communication? How are we influenced by the messages of pop culture and social institutions? And how does all this communication become part of the larger social fabric of what we know as `the environment'? The book offers a fresh and engaging introductory look at a topic of broad interest, and is an important work for students of the environment, activists and environmental professionals interested in understanding the cultural context of human-nature interactions. Buy Communicating Nature by Julia B. Corbett from Australia's Online Independent Bookstore, Boomerang Books. Julia B. Corbett is associate professor in the department of communication at the University of Utah.